You’ve probably noticed by now that God doesn’t just tell His people what He will do—He shows them. He knows we’re people who remember best what we’ve experienced. And these next clues were another experience His people wouldn’t forget! This week’s clues to who the Messiah is and why He came can be found in a famous Exodus story. 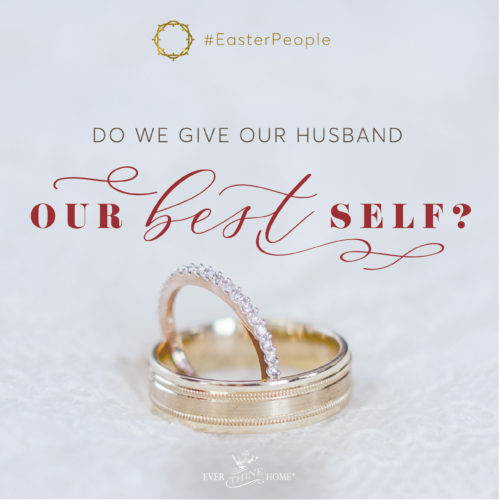 This story is so dramatic and packed with clues it’s as if God was putting up lights and pounding a drumbeat saying, I want to restore our broken relationship. My Son will be the Way, He will look like this! Don’t miss Him! Since background information can be crucial to solving a mystery, let’s start by gathering a little info. These clues involve Moses, the man God used to free his people from Egyptian slavery. While God’s people were still slaves in Egypt, God used ten plagues to remind them that He was all-powerful. The plagues also proved to the Egyptian people that He was the real God, very unlike their pretend, lifeless gods made of wood and stone. The Egyptians had just suffered through locusts and flies and sickness and boils and water turned to blood and more. Then God told Moses about the last plague He would bring: death to the firstborn son of every family, Israelite or Egyptian. But God made a way out for His people—a plan to keep the Israelites safe if they followed the directions He gave them. Any family who wished for death to pass over their house, must sacrifice a male lamb, perfect and healthy, and paint their doorposts with the lamb’s blood. God said, “For I will pass through the land of Egypt that night, and I will strike all the firstborn in the land of Egypt, both man and beast; and on all the gods of Egypt I will execute judgments: I am the LORD. The blood shall be a sign for you, on the houses where you are. And when I see the blood, I will pass over you, and no plague will befall you to destroy you, when I strike the land of Egypt” (Exodus 12:12-13). Did you catch the clue? The blood of the lamb will be a sign that those families belong to the Lord and His judgment will pass over them. This night and its ceremony is called the Passover because death passed over them. We don’t like to talk about blood—or death. So even the death of a lamb is not easy to think about. Still, death is a consequence of sin so we must address it. But God made a way for the Israelites! He provided Moses to rescue them by telling them God’s direction. God made a way for you too! Even in a story that’s hard to talk about, God is showing more of what must happen for us to be brought back to Him. The blood of the lamb on the doorways of each Hebrew house was meant to be a vivid memory of a life had to be sacrificed to save the people. This week, take time to thank God in your heart that the sacrifice of a Lamb—of Jesus’ blood—makes it possible for death to “pass over” us too. Dear God, we thank You for being a God who always provides a way for people to receive mercy and forgiveness. 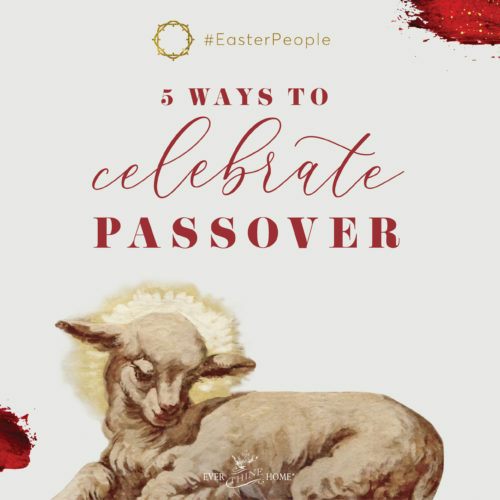 Thank You for protecting the Israelites through the sacrifice of a lamb at Passover. And thank You that through Jesus’ shed blood, my sin, all the wrong things I’ve done, can be forgiven and death will “pass over” me. In Jesus’ name, amen. 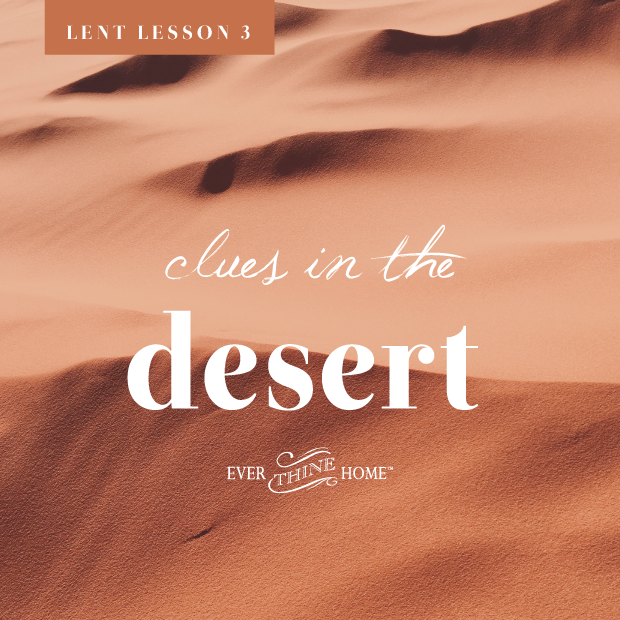 If you missed Lent Lesson 1 and Lent Lesson 2, it’s not too late! Jump in where you can. Even doing one lesson is worth it. 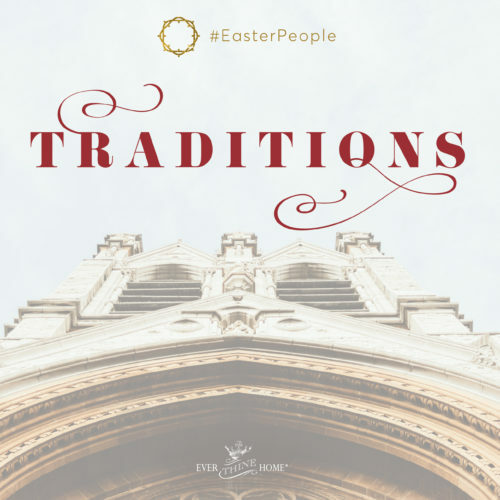 And be sure to subscribe to get each week’s Lent Lesson in your inbox. Barbara, could you contact me? It is a question about my husband.